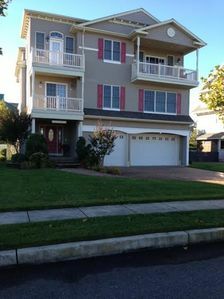 Avalon NJ "New" Upside Down, Near Town & Beach with Stone Spa/Pool! 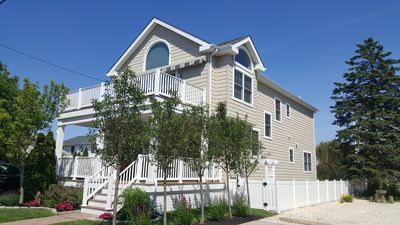 Spacious two-story single home east of Dune Drive, located steps from the center of town and a block and a half to one of the best beaches in town. 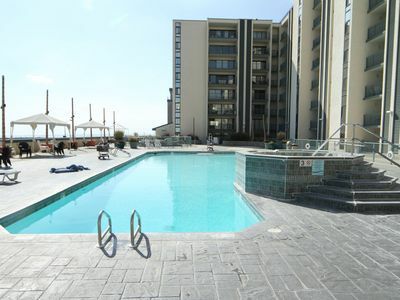 You will be in entertaining heaven in your private lavish raised spa/pool with stone walls, lighting, and 3 waterfalls including a 6 foot waterfall from spa to pool. The upside down layout is perfect for entertaining, with a spacious and vaulted kitchen, living room, and dining room. 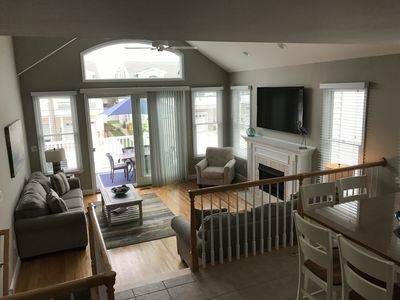 This great room area is bright and open with grand window views in multiple directions. 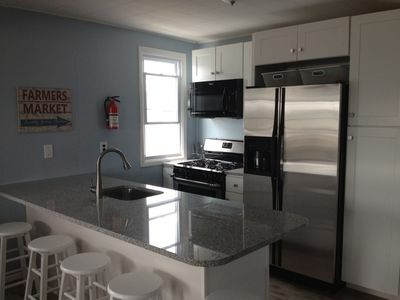 The kitchen features wood cabinets, stainless steel appliances, and a large center island. 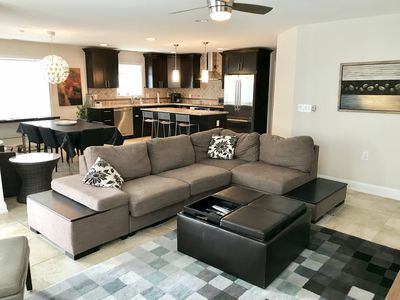 The living room has plenty of seating for the entire family, features a flat screen TV above a custom built-in fireplace, and offers slider door access to a large front deck that is the perfect place to watch the sun fall. 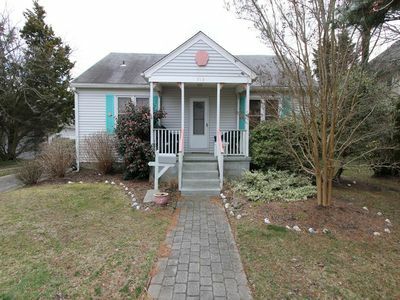 In the rear of the second floor is a powder room and a large master bedroom with a king bed and an en-suite bathroom. 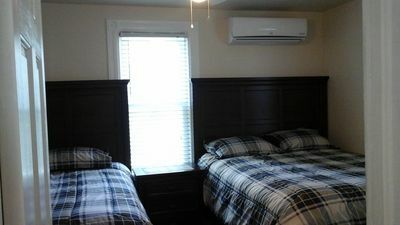 The first floor has three spacious bedrooms; one with a king bed, one with a queen bed, and a third bedroom with bunk beds. 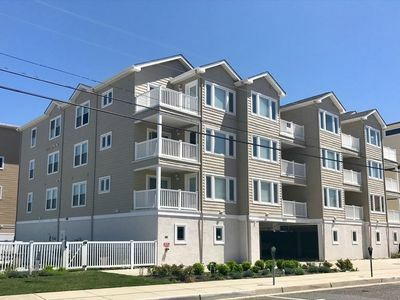 One of these bedrooms features an en-suite bathroom while the other two bedrooms share a spacious hall bath. The laundry room is on the first floor. 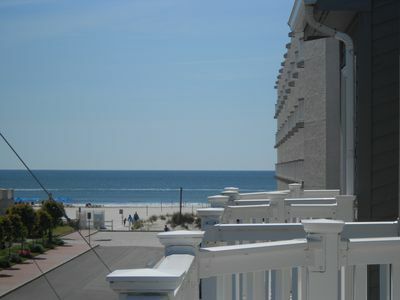 All the hardwood floors throughout the common areas have been recently refinished and beach house freshly painted. 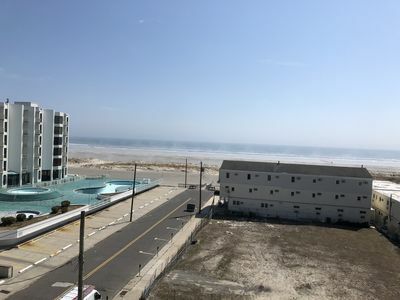 If your goal is to get as close to a great beach and to town as possible, make sure to preview this very special property! Walk to TI rest. & shops! 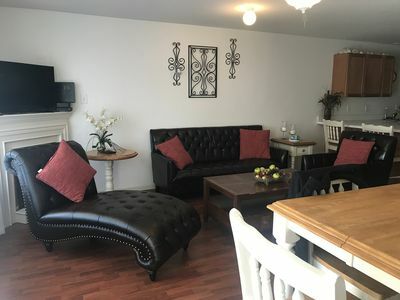 New TVs, Highchair/PacknPlay, 6 Beach tags, sky room! Tommy Bahama Beachy COOL! 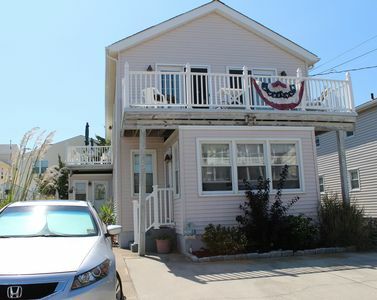 1 1/2 BL to Boardwalk/Rides/Beach! BOOK 2019 TODAY! Piece of Paradise. 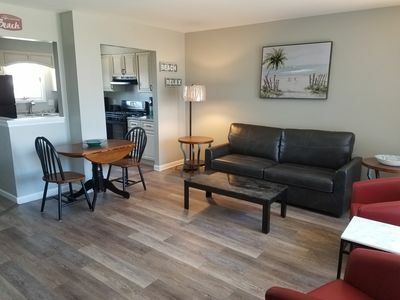 Pet Friendly and walking distance to restaurants and shopping. 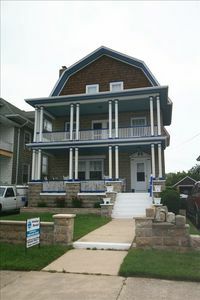 Beautiful Large Georgian-Period Home - One Block from Beach! 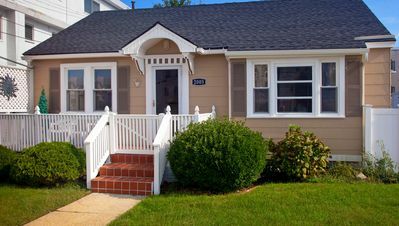 The Best Beach House in Cape May!!! 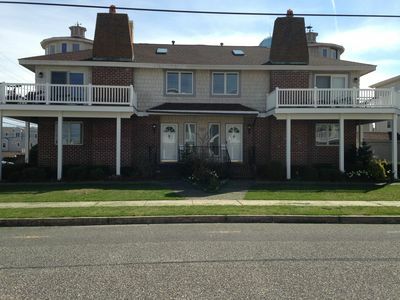 Renovated 3 bedroom condo 1 block from beach! 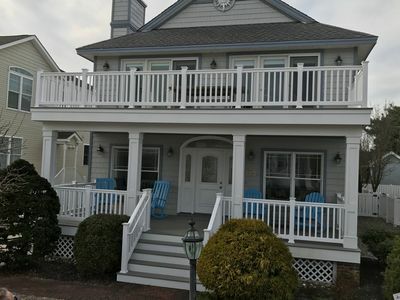 Unique Full Ocean Front & Bay Views- Only 2 weeks Left! 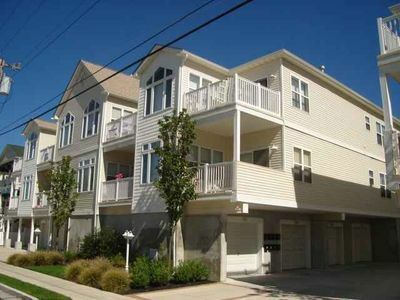 North Wildwood Townhouse, One Block To The Beach. 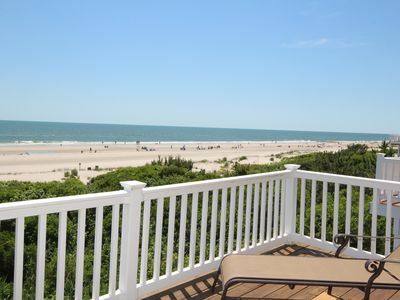 Ocean Views From Deck.